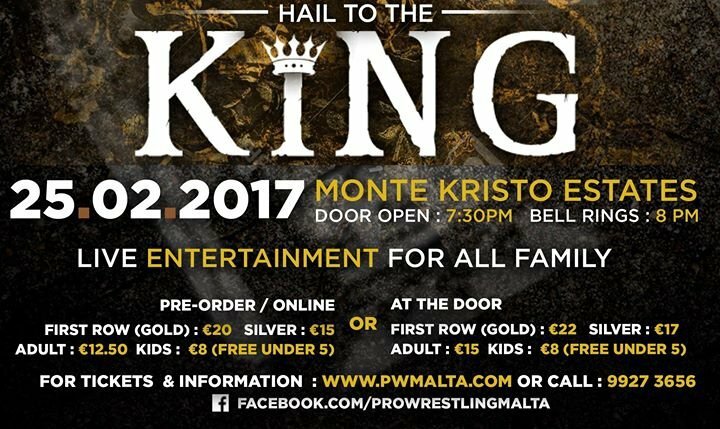 Pro Wrestling Malta returns with its first event for 2017 on the 25th of February, being held at the Montekristo Estates. Hail to the King will feature returning and debuting stars both locally and internationally (names to be announced soon). Tickets will be out soon and can be purchased online on our website www.pwmalta.com or call 99273656 for more information.